Loro Parque is one of the main reasons why travelers around the world flock to Tenerife Island. Set within a Jurassic Park environment of dense tropical palm groves, this zoo is home to an extensive and diverse reserve of animals. The experience excites the young and old alike, with its world-class killer whale show and a huge penguinarium. On top of the interactive shows, the zoo boasts of over 350 species of vibrant and entertaining parrots. Today, the animal portfolio has grown to include tigers, gorillas, and chimpanzees. 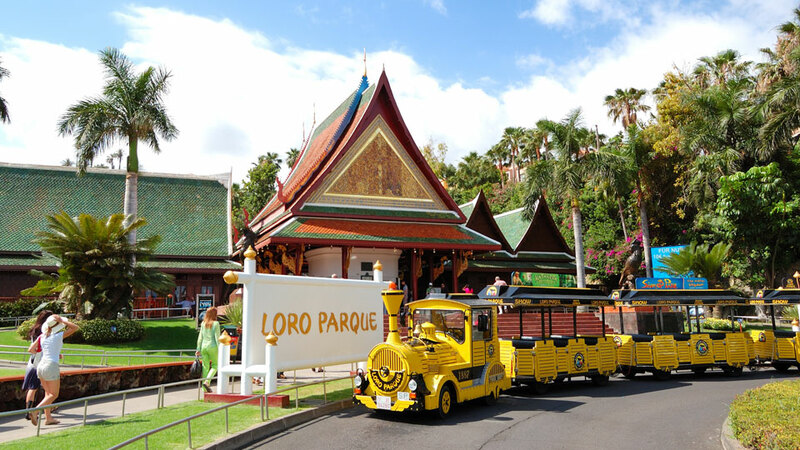 After spending a couple of hours at this Thai-inspired zoo, it’s easy to understand why Loro Parque keeps receiving accolades. In 2015, the zoo bagged TripAdvisor’s Traveler’s Choice Award as the Best Zoo in Europe and second best in the world. Loro Parque does not only aim to showcase the unique skills and talents of its residents. In 1994, the zoo founded the Loro Parque Foundation. It aspires to highlight the need for nature and environment conservation, and thus far, it has been successful. To date, the foundation has carried out 82 conservation projects in 28 countries. Loro Parque is nowhere near a typical zoo. The animals that find refuge in this paradise put its visitors within a whisker of action. What’s a zoo without this animal closest to human species? Six male Western Lowland Gorillas, a species classified as “Critically Endangered,” laze all day at their enclosure. Loro Parque adopted these furry friends from other European zoos to improve their way of living. Visitors of the zoo are blessed to witness such elegance and beauty from these white tigers. On a typical day, these cats spend their times playing with each other as well as running and splashing in the water within their enclosure. The experts at Loro Parque aims to ensure that newly-hatched parrots have no problem with their development. 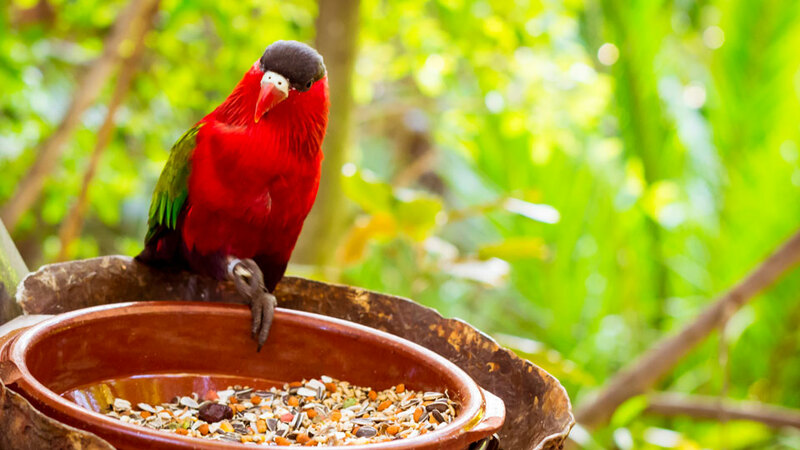 Here, visitors have the chance to observe these beautiful birds more closely as they are fed and cared for. At the aviary, parrots show off their intelligence and talent that never fails to leave the audience dazzled. In the middle of Loro Parque’s large green area is a flock of flamingos, literally having a stroll in the park. The birds’ orange feathers set against a green tropical background creates a postcard perfect view. Their elegant and demure movements are a delight to witness even from afar. Loro Parque’s exclusive shows and exhibitions cater to visitors of all ages. From a relaxing stroll in a garden to an interactive tree-top adventure, the zoo has it all. 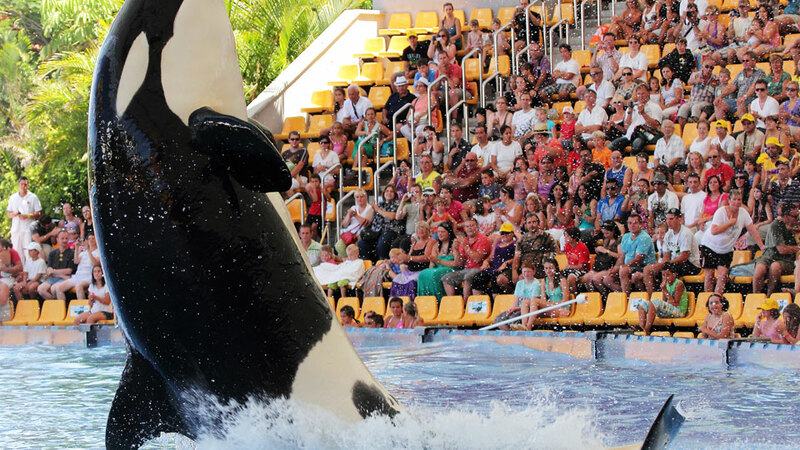 Visitors haven’t been to Loro Parque if they haven’t seen this heart-pounding show. The killer whales on this show enchant the audience with their stunning tricks. Although this show has received negative criticisms, the park ensures that these gentle giants are well-taken care of by professionals. Orca Ocean is available daily at 11:45, 14:00 and 16:45. The museum brings together unique works of art made by the great masters of porcelain ware. The parrot figurines keep its guests entertained all throughout their stay. Stop and smell the roses, they say. But in Loro Parque, visitors may enjoy and appreciate the “queen of fragrant flowers.” The wealth of colors and the sweet aroma of this exhibit is a truly a treat to the senses. An authentic symphony of bird sounds awaits at this exhibit. Visitors have a chance to get up close and personal with these feathered creatures from Asia and Australia. 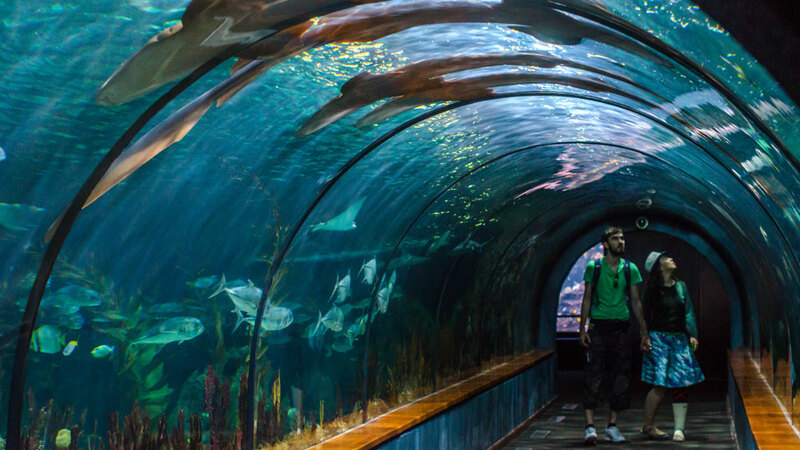 This attraction is one of the most impressive free flight aviaries in the world. The show calls attention to the need to preserve the forests. Color and motion go hand in hand to create a natural spectacle at AquaViva, much to the delight of its guests. Here, visitors have a chance to explore the wonders of the underwater world without having to get wet. The jellyfish attraction is the best and the largest ever seen on the continent, let alone the world. Blacktip and Whitetip sharks, and hundreds of colorful tropical fish are also present, unaware of their magic. Aquaviva is open daily from 10:00 to 18:45. Stepping into Planet Penguin is like visiting the Antarctic. Real snow, massive icebergs, and hundreds of penguins, oblivious of their charm, await in this polar world. The natural living conditions in this attraction make it popular among the visitors. Planet Penguin is open to the public daily from 8:30 to 18:00. Since 1988, Loro Parque Foundation has supported the important Spix’s Macaw conservation project. The project aims to save this precious species from extinction. At Naturavision, guests may enjoy the entertaining RIO 3D, the story of the Spix’s Macaw. The film showing is open daily at 11:45, 14:45, and 17:15. This attraction that resembles an African village. The huts in the trees that are a hit with younger visitors. Kids may climb and enjoy the jungle, slithering down the snake slide and balancing on hanging bridges. Loro Parque can easily be reached from the town proper by foot. Visitors opting to drive on their own from Puerto de la Cruz may use this GPS coordinates: 28°24’33.2” N 16°33’57.5” W. Please note that is no particular area to park cars, but parking is allowed along the road. For an easier and more convenient option, visitors from the south of the island may take the free shuttle service. The service is available seven days a week and slots must be reserved 48 hours prior. Contact number: +34 922 373 841 ext. 512/210. Free ride on the express train is also available from Reyes Catolicos. The first train departs at 09:00 and every 20 minutes after that. Loro Parque is open daily from 08:30 to 18:45, so guests have plenty of time to enjoy every attraction. The beautiful climate in Tenerife also suggests trips to the zoo are incredible any time of the year. As for the entrance fees, one-day ticket prices range from 13,00 to 72,00 Euros depending on the services, age, and residency. Visitors may visit the zoo’s official site to buy tickets and get more details. Getting hungry while having the best time with nature is not a concern at all in Loro Parque. The zoo has many well-located restaurants and bars to meet the visitors’ needs. A bar that goes along with the zoo’s architecture theme, Cafe Bar Thai is ideal for those craving for caffeine and sweets. Admire the warm Oriental ambiance while enjoying a variety of delicious snacks including sandwiches, donuts, coffee or tea. Located at the entrance and exit of Loro Parque, Cafe Bar Thai offers a gastronomic delight to the guests who wish to have a quick bite before or after the park visit. Why not have coffee and snacks while savoring the best views of Tenerife’s icon? Cafe Vista Teide is the perfect place to just sit back and relax in between exciting animal encounters. The cafe features a lovely terrace that where guests can have sweeping views of the majestic Mount Teide. The excellent service and great snacks for kids and kids at heart are also noteworthy. The list of attractions at Loro Parque is perhaps as long as Casa Pepe’s tapas menu. At this rustic restaurant, visitors can have a taste of typical authentic Spanish cuisines including choices of delightful tapa dishes. Snacks such as pizza and fries are also available. Casa Pepe can accommodate up to 150 diners and has a charming and offers a comfortable dining experience at its outdoor terrace. Bar Grill Patio del Loro is a grilled meat-lover’s paradise. Here, guests can sample succulent grilled pork, beef, and chicken among other mouthwatering dishes. The restaurant, just like the park it is situated in, is well-run and clean. The staff is attentive, the atmosphere is great, and overall the experience is a great value for money. Loro Parque is exceptional for its beauty, excellent facilities, and world-class installations. But more than that, its focus on the preservation of nature and animals makes it one of the most respected zoological gardens in the world. Its environmental certification from the Animal Embassy, a first in the world for such park, is a testament to the park.